"Dripping with ingenuity and alt-lifestyle aura lays the Snowpocalypse of 2016's most desirable getaway. Hand-crafted, and built using only natural elements—we're offering the experience of a lifetime in this chic dome-style bungalow for you and bae." AdFreak caught up with Horton, 28—at center in the photo below, flanked by Seeley and Jones—on Wednesday morning. He said the three of them first talked about the idea several months ago. 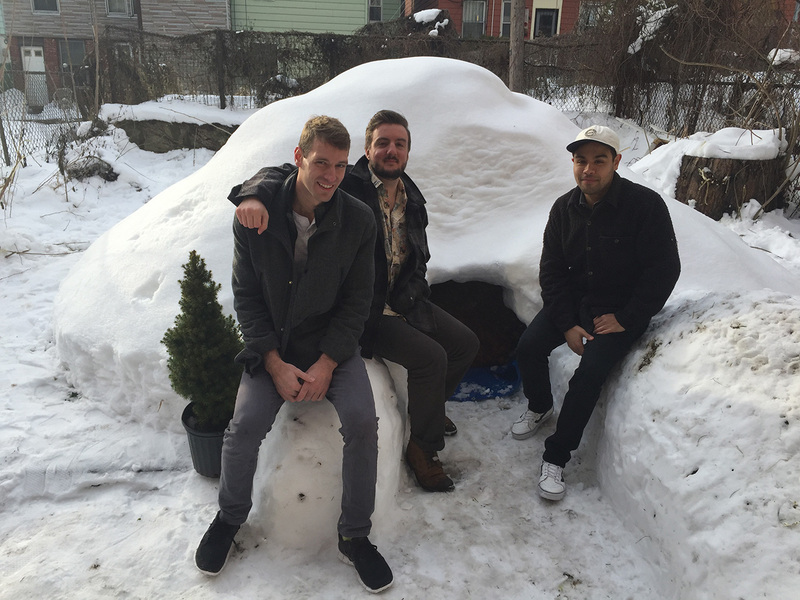 "My roommates and I decided we wanted to try to build one if it snowed since we have a private backyard attached to our apartment," he says. 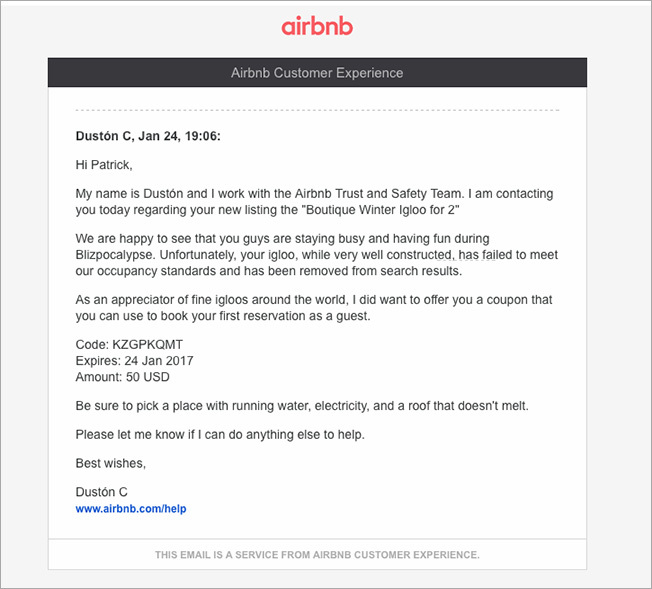 "Pretty early on in that conversation we decided that we wanted to try to rent it out on Airbnb. We joked about it for a couple of months but didn't know if we were going to get our chance with snow or not. We definitely had our shot this last weekend with the storm though." 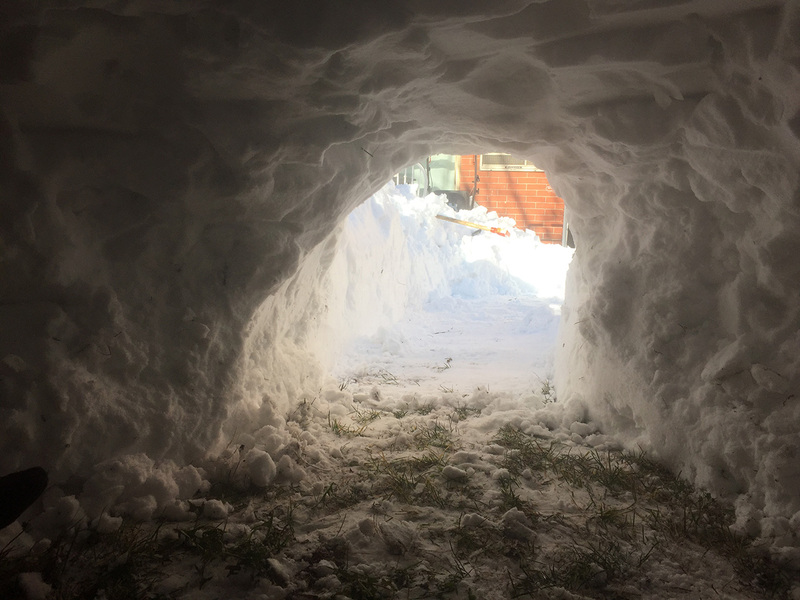 Horton says it took "three hours Saturday, three hours Sunday, and probably about two cases of Coors Light" to build the igloo. "The whole project was supposed to be kind of a satire," he says. "The idea, description and price [$200 a night] were all supposed to poke fun at some of the stereotypical views that others have of people in Brooklyn. I think that some people understood that. But most people didn't. And I think that turned out to be one of the best parts of the story for us." 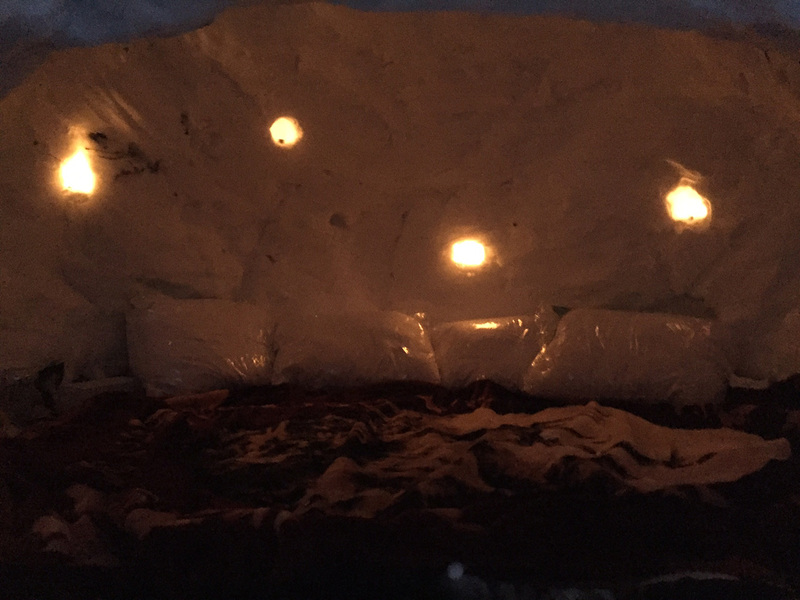 Of the five requests to stay in the igloo, one was clearly a joke. 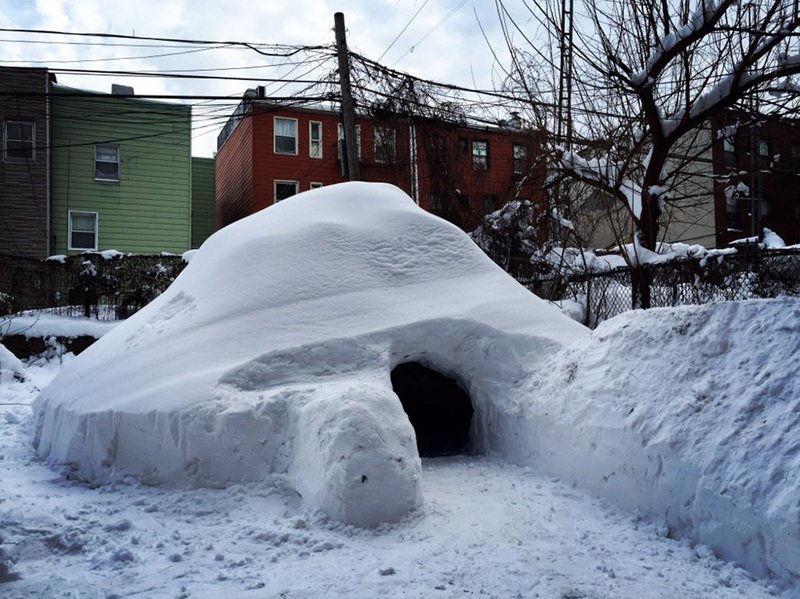 ("This guy had tried to reserve the igloo for the entire month of July," Horton says.) And while it's sad that no one actually got to stay in it, "I was able to secure a nice nap in there once we finished it," Horton says. "We had put a whole bunch of blankets and pillows in there. It was surprisingly comfortable." Horton says he's been pretty shocked, and kind of thrilled, by the overwhelming media interest. 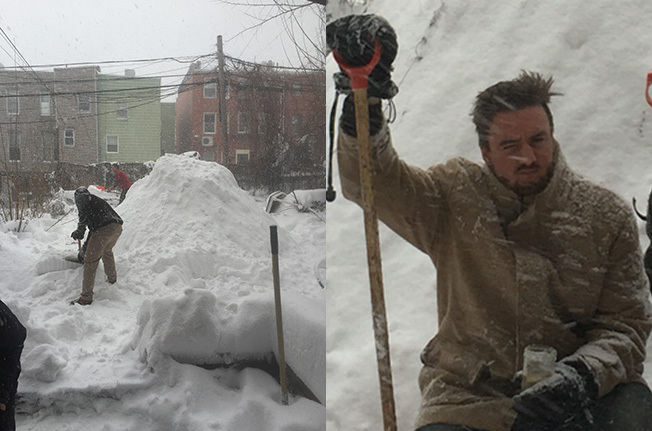 "I am not sure why people suddenly care about igloos so much," he says. "I thought the idea was funny as well, but I never expected this kind of response. I wish every idea that I executed while drinking a couple of beers would be met with this type of hype." 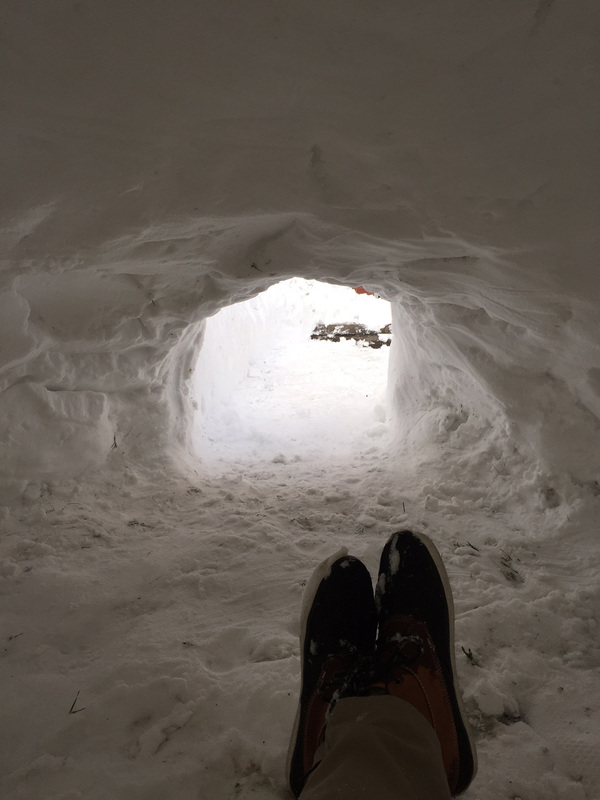 He adds: "I don't know if I should be excited or depressed about the fact that my largest achievement in life so far has been building an igloo in my backyard. But I really am glad that people enjoyed it."